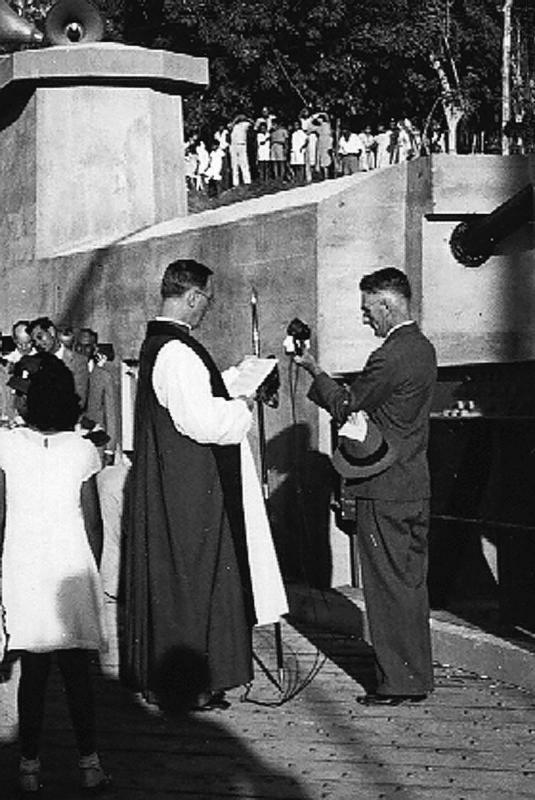 Opening of the bridge at El Cayo about 1946. 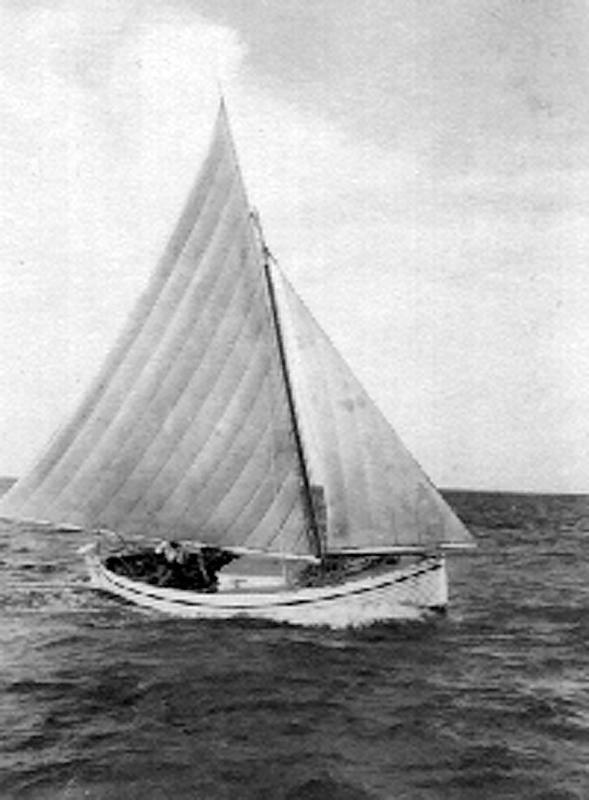 Joe Young's sailboat "Linton." This is a ship's lifeboat washed up on the reef during WWII. Joe found it, fixed it up, rigged it with mast, sails and cabin. It became a very popular "for hire boat" in the 40's, largely because of Joes's great personality.